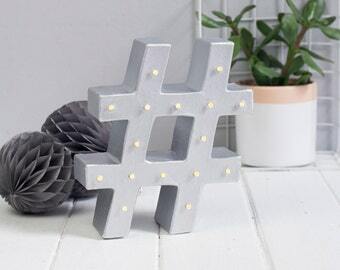 A stunning addition to our range of light up letters, these artificial succulent hearts are bang on trend and would make a fantastic addition to the home, or a rustic 'themed' wedding. 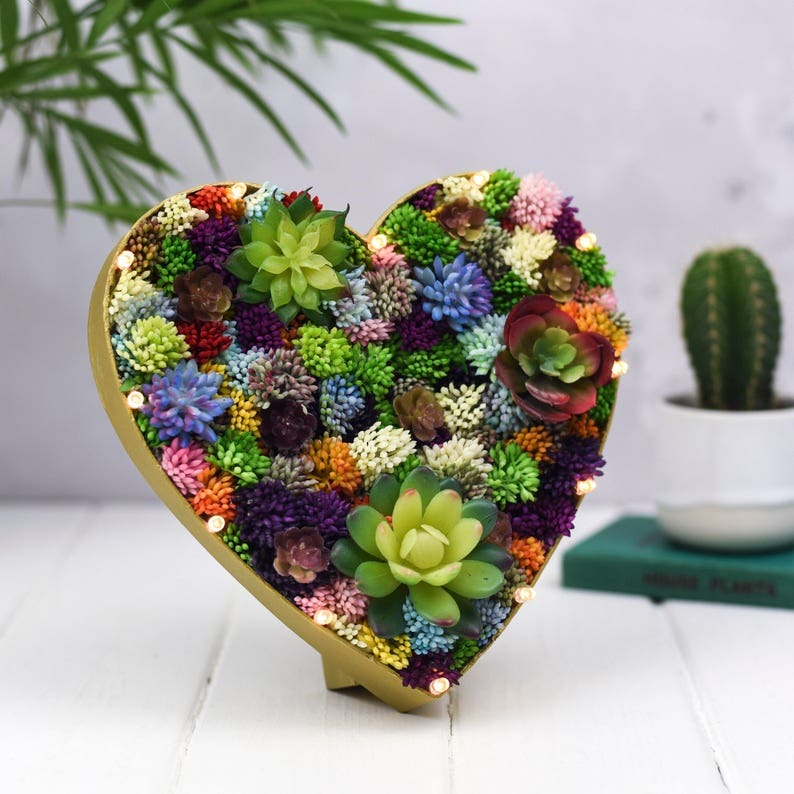 Each light is filled with high quality, artificial succulents and up to 20 warm white battery operated LED fairy lights. Lights have a guaranteed lifetime of 30,000 hours and are powered by 3xAA batteries (included). The back of each light is finished in a high quality matt finish spray paint - simply choose your preferred colour from the dropdowns. Letters are 20cm tall. Width varies per character. Items cannot be wall mounted.